Have you been a long-time fan of using Ooma’s app to remotely access your work phone? Are you new to the powerful technology that lets you make and receive work calls on your mobile device as an auxiliary phone? All Android users with Ooma Office business phone service can now benefit from the latest software update, Ooma Office app (v3.1.1). Find out what tools you’ll have at your fingertips after downloading the latest version from Google Play. What’s New with the Ooma Office App for Android? With the Ooma Office app version 3.1.1, we’ve added some exciting new features and updates. The major functionality upgrade is that the app now supports Ooma Office’s Call Park feature. With this feature, all businesses can do a better job of juggling callers while remaining professional. When using Call Park, a caller can be “parked” in a numerical “parking spot” and then picked up from any other device. The addition of the Call Park feature to the Android app means you can park a caller from your desk phone and then retrieve the caller via your cell phone app after you’ve moved to a quieter location. Additionally, your coworker could park a caller from his or her phone, and you can retrieve the caller on your mobile device when you’re working from home. The advantage of using Call Park over Call Transfer is that users have complete flexibility to move callers between devices or between staff extensions. Plus, when a call is parked, you can take the time you need to change locations or confer with coworkers. To use Call Park on your Android app. simply dial *41 followed by the parking spot number. Ooma Office users with Android devices who upgrade to app v3.1.1 will benefit from additional updates. The newest version of the app resolves several customer-reported glitches. We take customer service seriously, so if our tools don’t work for you or your business, we’ll take the necessary steps to resolve the issue. The Ooma Office app v3.1.1 also implements back-end updates that allow tech staff to streamline app development and troubleshooting. With deeper integration with fabric.io, Ooma’s developers now have the tools to better analyze and understand app crashes. This helps us provide you with the best mobile tools for an optimized mobile experience. Ooma Office, an affordable phone service for businesses, has been named #1 VoIP phone service in PC Magazine’s Business Choice Awards for the past five consecutive years. The feature-rich calling solution includes extension dialing, multiple virtual receptionist options, conference bridge, music on hold, after-hours mode, and many other enterprise-grade telephone tools. 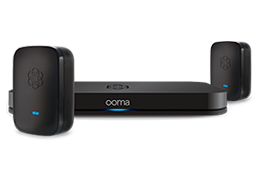 Additionally, users have the option to use Ooma Office phone service with a desk phone or with the Ooma Office free mobile app. With the app, users have access to the same advanced functionality as they do from their desk phones. Use the app to make outgoing calls using your work line, receive incoming work calls, check voicemail, transfer calls to coworkers, and more. The Ooma Office app is available on both iOS and Android platforms, providing you with a flexible way to stay connected to your work phone. 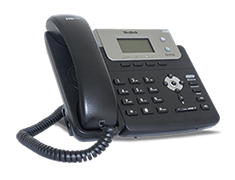 Use it to supplement your desk phone; or, for remote workers, it can be a desk phone replacement to keep all employees’ communications networked, regardless of their location. Learn more about Ooma Office and follow the Ooma blog to find out about the latest feature updates and telephone tools.